No matter who you are or where you are on life’s journey, you are welcome here! This is our culture at First Congregational Church of Ithaca. We are an active, gracious church, and we want you to be part of our faith community. Jesus didn’t turn anyone away, and neither will we. We are Open and Affirming, welcoming people regardless of sexual orientation or gender identity into the life and ministry of the congregation. Our church is filled with people who are committed to exploring their faith in community. Some of us come from faith traditions outside of Christianity. Others of us are brand new to Christianity. But all of us are trying to figure out what following Jesus means in the 21st century. We are a church trying to listen for God’s Still-Speaking voice as it leads us to serve our neighborhood and community. We are committed to serving each other and our community, reaching out to those in need, and making the world a more loving, just place. 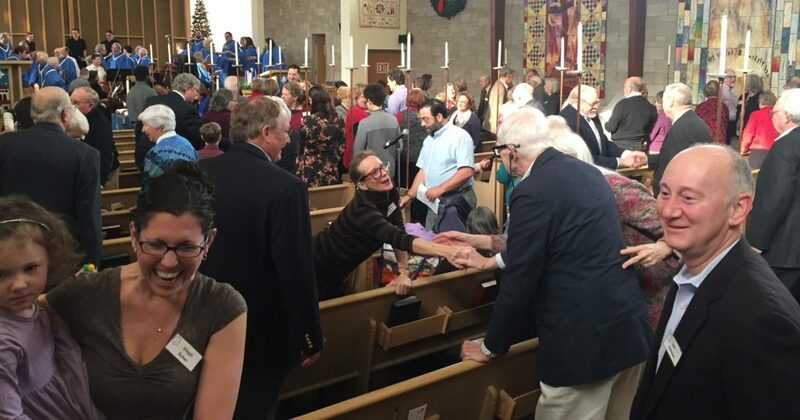 Since 1957, the United Church of Christ has been a “church of firsts”: the first historically white denomination to ordain an African-American, the first to ordain a woman, the first to ordain an openly gay man, and the first Christian church to affirm the right of same-gender couples to marry. Our mission at FCCI is to Be the church: Protect the environment. Care for the poor. Forgive often. Reject racism. Fight for the powerless. Share earthly and spiritual resources. Embrace diversity. Love God. Enjoy this life! As progressive Christians, worshiping in a traditional style, we envision a world where people love God as the Sacred Source of life, love their neighbors and themselves, and dwell together in peace. Come and experience what our church community has to offer!